Detroit charter schools rightly merit attention for helping students improve on math and reading tests. But they deliver other benefits that take longer to emerge. A new analysis says that a Detroit student who attends a charter high school is more likely to pursue higher education. The Michigan Association of Public School Acade­mies, which represents charter schools in the state, observed that eight of the top 10 schools in Detroit for college enrollment were charter schools. The numbers come from the Michigan Department of Education, and can be easily accessed on an MLive searchable database. Detroit Edison Public School Academy and Universal Academy topped the list, with 76 and 75 percent of graduates, respectively, pursuing a college education. Other notable examples of charter schools helping students beat the odds include Jalen Rose Leadership Academy, Cornerstone Health and Technology High School and the two University Prep high schools. Unlike the charters on the list, the two schools run by the Detroit Public Schools Community District that finished in the city’s top 10 — Renaissance and Cass Tech — have selective standards for admission. But charter schools, like most other public schools, cannot discriminate when enrolling students. All eight of the charter schools on the list are as likely as neighboring district schools to serve low-income students — if not more so. The fact that eight of the top 10 schools in Detroit are charter schools doesn’t necessarily indicate a direct cause and effect between attending a charter and enrolling in college. But more rigorous studies from Florida, one of charter schools and one of a tax-credit scholarship program for low-income students, both indicate that school choice boosts college enrollment. The Michigan Department of Education tracks postsecondary progress for each high school's graduates, starting with the Class of 2014. More evidence should be forthcoming in future years to show how many students who graduated from charter and district schools also completed two-year and four-year college degrees. This evidence may begin to validate other findings about the long-term benefits of academic achievement. A recent Mackinac Center study estimated that each dollar spent by a Detroit charter school will yield about two-and-a-half times greater student lifetime earnings than a dollar spent by the Detroit school district. This finding results in part from the fact that the city's charter schools typically take in and spend about $5,000 less per student. The increased college enrollment numbers follow other research that highlights the benefits Detroit students enjoy by enrolling in a charter school. A 2015 analysis from the Center for Research on Educational Outcomes at Stanford University found that each year in a charter gave students somewhere from a few weeks to several months of additional learning. CREDO cited charters in Detroit and three other cities as "essential examples of school-level and system-level commitments to quality that can serve as models to other communities." While Detroit’s charter schools deserve congratulations for outperforming the local district, they should not be complacent. After all, that district has been rated lowest in academic achievement among the nation's major cities five straight times since 2009. The city needs more high schools achieving results like Detroit Edison and Universal academies to raise the bar further and give more students hopes of success. 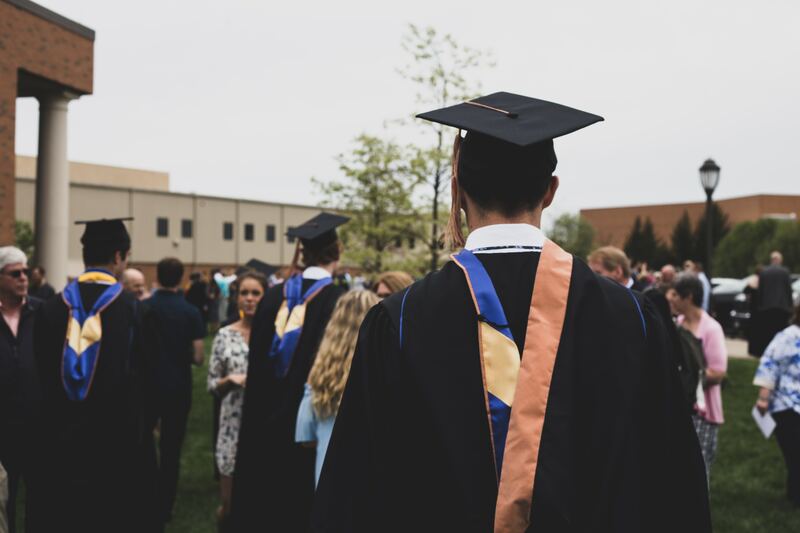 As reported by MLive, Michigan charter schools outside the Motor City also distinguished themselves in sending last year's graduates to college. Ann Arbor's Central Academy, which serves a largely poor and immigrant student population, had the third-highest college enrollment rate in Michigan – the highest, in fact, outside of public schools that get to exclude students with a poor academic record. Other charters that had 2017 college enrollment rates above 80 percent were Arbor Prep, Washtenaw Technical Middle College Prep and International Academy of Flint.